The CHRONIC Care Act (S.870) has recently passed the US Senate and the House will soon be taking action. The principal benefit here is that all Medicare- and Social Security-eligible people will be better able to access the care options that the packages guarantee and people should be able to access these programs with as few barriers as possible. They paid for them, after all. The primary focus is on assisting people with chronic conditions that require frequent if not constant attention. Two-thirds of people currently in the program currently have multiple chronic conditions. In the general population, right now about half of the population has some sort of chronic condition and many have multiple conditions. As our population ages, more and more will enter the Medicare system and we, as a nation and as healthcare providers, need to be ready. Because chronic conditions can last for months and often whole lifetimes, continuity of care is a necessity for improving patient health outcomes and life expectancy. Collectively, chronic conditions account for 75% of all physician visits, 80% of hospital admissions, and 90% of prescriptions in the US. As more and more of the population ages, and begins experiencing age-related chronic illnesses, these numbers will only increase. 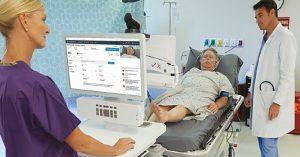 Telehealth makes all of this simpler, less expensive, and helps avoid unnecessary hospitalizations through the continuity of care it makes possible. These capabilities can be combined with the Independence at Home (IAH) part of the CHRONIC Care Act to help keep senior citizens in their homes longer where they are more comfortable and have more control over their lives. This works because staying at home, where a person has their family and friends nearby for support, helps improve adherence to medication and therapy regimens, thus benefitting them in both health outcome and quality of life. This has become possible because of the expansion to telehealth services that the CHRONIC Care Act includes. The unanimous passage in the Senate means that they are all on board with the possibilities for care that telehealth is making possible. 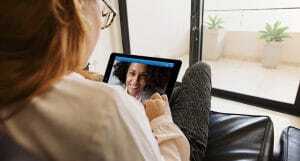 The Veterans Administration alone is already projecting a savings of $1 billion over the next 10 years from their partial roll out of telehealth services. Larger scale implementation, according to a CBO report, is projected to save just as much over the next decade. 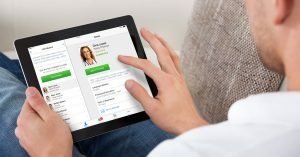 This is good news for patients, healthcare professionals, and telehealth providers alike. But action is still needed in the House. The best way that this can be accomplished is by talking to Congress directly on Telehealth Lobby Day. If you are unable to go in person, you can contact them through phone and online routes. Telehealth works. And it will work better once more people have access to it. The CHRONIC Care Act will make that possible.